Do You Want Your Company to be Featured? We offer many different options to promote your company to a dedicated audience base. Lakota of Ohio strives to provide the highest quality and most structurally sound living quarter horse trailers in the business while also delivering exceptional customer service and support. Show host Tom Seay proudly uses a Lakota trailer for traveling to trail rides across America. 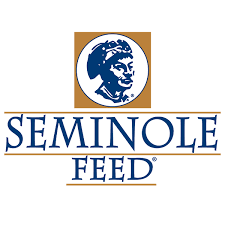 Seminole Feed, "World's Best Equine Feed"
Seminole Feed manufactures high quality, carefully formulated equine nutrition products, milled in an all-natural, non-medicated mill. Host Tom Seay is proud to partner with Seminole Feed for successful trail rides across the company's home state of Florida, including February 2019's ride in Suwannee Music Park. 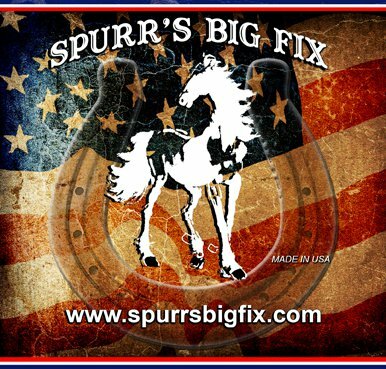 Spurr’s Big Fix is a conditioning antiseptic spray for horse and livestock skin care that helps to maintain a healthy hoof. Tom and Pat Seay routinely use Spurr's Big Fix at their working cattle farm, Andora Farm. Bill creates custom, good quality leather products in a variety of hides and repairs leather goods in Donnellson, Iowa. He also carries a selection of products available such as chaps, chinks, saddle bags, etc. Tom Seay is honored to have custom saddle bags and a horn bag from Bill's Leather. Tucker saddles are the standard in quality and style for trail riders. With the patented Gel-Cush™ shock absorbing seat incorporated into every Tucker trail saddle, riders all across the world experience ultimate comfort for hours on the trail. Tucker products are proudly hand made in Yoakum, Texas, and are sold through a network of authorized dealers. Tom Seay proudly uses a Tucker Saddle on every Best of America by Horseback trail ride. Priefert Rodeo and Ranch Equipment is America's #1 name in rodeo and ranch equipment and has been for 50 years. The Priefert Junior Elite team is full of remarkable young riders who compete in rodeo events across the country. Tom and Pat Seay use Priefert equipment at Andora Farm for its safety for their animals and for its ease of use.